I am a professor in the Automata theory group at the Faculty of Mathematics, Informatics and Mechanics, University of Warsaw. My research areas are: automata theory, concurrency theory, formal verification, systems biology. Here is the blog on computation with atoms. I'm serving as managing editor of Fundamenta Informaticae. FoSSaCS'20, GandALF'19, LICS'19, RP'18, MOVEP'18, CSL'18, LATIN'18, MFCS'17, FoSSaCS'17, FSTTCS'16, RP'16, MFCS'16, STACS'16, RP'15 (PC co-chair and co-organizer), Highlights'15, FoSSaCS'15, ICALP'14, FoSSaCS'14, Express/SOS'13, DLT'13, Nominal sets meet automata theory (co-organizer), RP'10, IIS'10, Express'09. L. Clemente, S. Lasota, R. Lazic, F. Mazowiecki, Binary reachability of timed-register pushdown automata, and branching vector addition systems. ACM Transactions on Computational Logic, accepted. W. Czerwiński, S. Lasota, R. Lazic, J. Leroux, F. Mazowiecki, The Reachability Problem for Petri Nets is Not Elementary. STOC'19. BEST PAPER AWARD. S. Lasota, VASS reachability in three steps. W. Czerwiński, S. Lasota, R. Meyer, S. Muskalla, K Narayan Kumar, P. Saivasan, Regular Separability of Well Structured Transition Systems. CONCUR'18. P. Hofman, S. Lasota, Linear Equations with Ordered Data. CONCUR'18. L. Clemente, S. Lasota, Binary reachability of timed pushdown automata via quantifier elimination and cyclic order atoms. ICALP'18. S. Lasota, R. Piórkowski, WQO dichotomy for 3-graphs. FOSSACS'18. L. Clemente, W. Czerwiński, S. Lasota, C. Paperman, Regular Separability of Parikh Automata. ICALP'17. W. Czerwiński, S. Lasota, Regular separability of one counter automata. LICS'17. L. Clemente, S. Lasota, R. Lazic, F. Mazowiecki, Timed pushdown automata and branching vector addition systems. LICS'17. L. Clemente, W. Czerwiński, S. Lasota, C. Paperman, Separability of Reachability Sets of Vector Addition Systems. STACS'17. B. Klin, S. Lasota, J. Ochremiak, Sz. Toruńczyk, Homomorphism problems for first-order definable structures. FSTTCS'16. S. Lasota, Equivariant algorithms for constraint satisfaction problems over coset templates. Information Processing Letters 118, 2017. S. Lasota, Decidability border for Petri nets with data: WQO dichotomy conjecture. Petri Nets'16. P. Hofman, S. Lasota, R. Mayr, P. Totzke, Simulation Problems Over One-Counter Nets. Logical Methods in Computer Science 12(1), 2016. Lasota, S., Poturalski, M., Undecidability of performance equivalence of Petri nets. Theoretical Computer Science 655 (part B), 2016. P. Hofman, S. Lasota, R. Lazic, J. Leroux, S. Schmitz, P. Totzke, Coverability Trees for Petri Nets with Unordered Data. FOSSACS'16. L. Clemente, S. Lasota, Reachability analysis of first-order definable pushdown systems. CSL'15. L. Clemente, S. Lasota, Timed pushdown automata revisited. LICS'15. B. Klin, S. Lasota, J. Ochremiak, Sz. Toruńczyk, Turing Machines with Atoms, Constraint Satisfaction Problems, and Descriptive Complexity. CSL/LICS'14. G. Anielak, G. Jakacki, S. Lasota, Incremental Test Case Generation Using Bounded Model Checking: an Application to Automatic Rating. International Journal on Software Tools for Technology Transfer 17:339-349, 2015. W. Czerwiński, P. Hofman, S. Lasota, Decidability of bisimulation on normed commutative context-free processes with silent moves. Theory of Computing Systems 55(1):136-169, 2014. M. Bojańczyk, B. Klin, S. Lasota, Automata theory in nominal sets. Logical Methods in Computer Science 10 (3:4), 2014. D. Figueira, P. Hofman, S. Lasota, Relating timed and register automata. Mathematical Structures in Computer Science 26(6), 2016. P. Hofman, S. Lasota, R. Mayr, P. Totzke, Simulation Over One-counter Nets is PSPACE-Complete. FSTTCS'13. M. Bojańczyk, B. Klin, S. Lasota, Sz. Toruńczyk, Turing machines with atoms. LICS'13. A. Gambin, S. Lasota, M. Rybiński, Z. Szymańska, Modelling the efficacy of hyperthermia treatment. Journal of the Royal Society Interface, 10(88):20130527, 2013. W. Czerwiński, P. Hofman, S. Lasota, Reachability problem for weak multi-pushdown automata. Logical Methods in Computer Science 9 (3:13), 2013. M. Bojańczyk, S. Lasota, Fraenkel-Mostowski sets with non-homogeneous atoms. RP'12. W. Czerwiński, S. Lasota, Partially-commutative context-free languages. EXPRESS'12. W. Czerwiński, P. Hofman, S. Lasota, Reachability problem for weak multi-pushdown automata. CONCUR'12. M. Bojańczyk, S. Lasota, A machine-independent characterization of timed languages. ICALP'12. 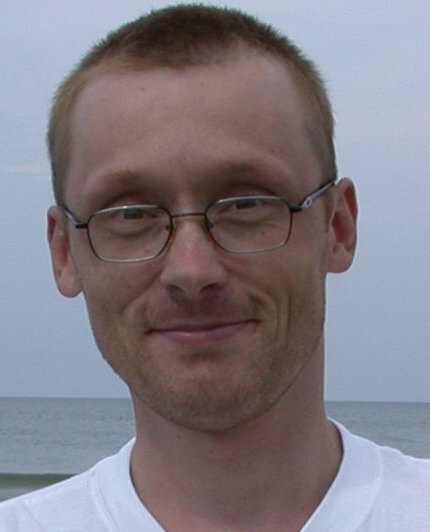 M. Bojańczyk, L. Braud, B. Klin, S. Lasota, Towards nominal computation. POPL'12. M. Bojańczyk, S. Lasota, An extension of data automata that captures XPath. Logical Methods in Computer Science 8 (1:5), 2012. P. Banasik, A. Gambin, S. Lasota, M. Lula, M. Rybiński, Tav4SB: integrating tools for analysis of kinetic models of biological systems. BMC Systems Biology 6:25, 2012. M. Startek, S. Lasota, M. Sykulski, A. Bulak, L. Noe, G. Kucherov, A. Gambin, Efficient alternatives to PSI-BLAST. Bulletin of the Polish Academy of Sciences: Technical Sciences, 60(3):495-505, 2012. W. Czerwiński, P. Hofman, S. Lasota, Decidability of branching bisimulation on normed commutative context-free processes. CONCUR'11. W. Czerwiński, S. Froeschle, S. Lasota, Partially-commutative context-free processes: expressibility and tractability. Information and Computation 209:782-798, 2011. M. Rybiński, M. Lula, S. Lasota, A. Gambin, Tav4SB: grid environment for analysis of kinetic models of biological systems. ISBRA'11 Short Abstract. M. Bojańczyk, B. Klin, S. Lasota, Automata with group actions. LICS'11. A. Gambin, G. Kucherov, S. Lasota, L. Noe, M. Startek, M. Sykulski, Subset seed extension to protein BLAST. Bioinformatics'11. W. Czerwiński, S. Lasota, Fast equivalence-checking for normed context-free processes. FSTTCS'10. D. Figueira, P. Hofman, S. Lasota, Relating timed and register automata. EXPRESS'10. M. Bojańczyk, S. Lasota, An extension of data automata that captures XPath. LICS'10. S. Froeschle, P. Jancar, S. Lasota, Z.Sawa, Non-Interleaving Bisimulation Equivalences on Basic Parallel Processes. Information and Computation 208(1):42-62, 2010. S. Lasota, EXPSPACE lower bounds for the simulation preorder between a communication-free Petri net and a finite-state system. Information Processing Letters 109:850-855, 2009. E. Furletova, A. Gambin, G. Kucherov, S. Lasota, L. Noe, M. Roytberg, E. Szczurek, On subset seeds for protein alignment. IEEE/ACM Transactions on Computational Biology and Bioinformatics 6(3):483-494, 2009. W. Czerwiński, S. Froeschle, S. Lasota, Partially-commutative context-free processes. CONCUR'09. Froeschle, S., Lasota, S. Normed Processes, Unique Decomposition, and Complexity of Bisimulation Equivalences. INFINITY'06, ENTCS 239, 2009. Goubault-Larrecq, J., Lasota, S., Nowak, D. Logical Relations for Monadic Types. Mathematical Structures in Computer Science 18(6):1169-1217, 2008. Lasota, S., Walukiewicz, I. Alternating Timed Automata. ACM Transactions on Computational Logic 9(2), Article 10, 2008. E. Furletova, A. Gambin, G. Kucherov, S. Lasota, L. Noe, M. Roytberg, E. Szczurek. Efficient seeding techniques for protein similarity search. Bioinformatics Research and Development (BIRD'08), Communications in Computer and Information Science. Grzebelus, D., Lasota, S., Gambin, T., Kucherov, G., Gambin A. Diversity and structure of PIF/Harbinger-like elements in the genome of Medicago truncatula. BMC Genomics 8:409, 2007. Froeschle, S., Lasota, S. Causality Versus True-Concurrency. Theoretical Computer Science 386:169-187, 2007. S. Lasota, D. Nowak and Y. Zhang. On completeness of logical relations for monadic types. ASIAN'06. Lasota, S. Decidability of Performance Equivalence for Basic Parallel Processes. Theoretical Computer Science 360:172-192, 2006. Gambin A., Lasota, S., Rutkowski, M. Analyzing stationary states of gene regulatory network using Petri nets. In Silico Biology 6, 0010, 2006. Lasota, S., Rytter, W. Faster Algorithm for Bisimulation Equivalence of Normed Context-Free Processes. MFCS'06. Froeschle, S., Lasota, S. Causality Versus True-Concurrency. EXPRESS'05, ENTCS 154(3), 2006. Froeschle, S., Lasota, S. Decomposition and Complexity of Hereditary History Preserving Bisimulation on BPP. CONCUR'05. Lasota, S., Walukiewicz, I. Alternating Timed Automata. FOSSACS'05. Koronacki, J., Lasota, S., Niemiro, W. Position Emission Tomography by Markov Chain Monte Carlo with Auxiliary Variables. Pattern Recognition 38(2):241-250, 2005. Gambin, A., Hidders, J., Kwaśnikowska, N., Lasota, S., Sroka, J., Tyszkiewicz, J., Van den Bussche, J. Well Constructed Workflows in Bioinformatics. Workshop on Database Issues in Biological Databases (DBiBD 2005). Goubault-Larrecq, J., Lasota, S., Nowak, D., Zhang, Y. Complete lax logical relations for cryptographic lambda-calculi. CSL'04. Lasota, S. A Polynomial-Time Algorithm for Deciding True Concurrency Equivalences of Basic Parallel Processes. MFCS'03. Lasota, S., Niemiro, W. A Version of the Swandsen-Wang Algorithm for Restoration of Images Degraded by Poisson Noise. Pattern Recognition 36(4):931-941, 2003. Goubault-Larrecq, J., Lasota, S., Nowak, D. Logical Relations for Monadic Types. CSL'02. Lasota, S. Decidability of strong bisimilarity for timed BPP. CONCUR'02. Gambin, A., Lasota, S., Szklarczyk, R., Tiuryn, J., Tyszkiewicz, J. Contextual Alignment of Biological Sequences. Proc. ECCB'02, Bioinformatics 18:116-127, Oxford University Press, 2002. Lasota, S. Coalgebra morphisms subsume open maps. Theoretical Computer Science 280:123-135, 2002. Dietzfelbinger, M., Gambin, A., Lasota, S. On Different Models for Packet Flow in Multistage Interconnection Networks. Fundamenta Informaticae 46(4):287-314, 2001. Lasota, S. Behavioural constructor implementation for regular algebras. LPAR'2000. Lasota, S. Finitary observations in regular algebras. SOFSEM '2000. Lasota, S. Coalgebra morphisms subsume open maps (preliminary version). CMCS'99, volume 19 of ENTCS, 1999. Lasota, S. Weak Bisimilarity and Open Maps. SOFSEM '98. Lasota, S. Partial-Congruence Factorization of Bisimilarity Induced by Open Maps. ICALP'98. Lasota, S. Open Maps as a Bridge between Algebraic Observational Equivalence and Bisimilarity. WADT'97, 1998. Gambin, A., Lasota, S. On the Semantics of Multistage Interconnnection Networks. SOFSEM'96. L. Clemente, W. Czerwiński, S. Lasota, C. Paperman, Regular Separability of Parikh Automata. L. Clemente, W. Czerwiński, S. Lasota, C. Paperman, Separability of Reachability Sets of Vector Addition Systems. P. Hofman, S. Lasota, R. Lazić, J. Leroux, S. Schmitz, P. Totzke, Coverability Trees for Petri Nets with Unordered Data. P. Hofman, S. Lasota, R. Mayr, P. Totzke, Simulation Problems Over One-Counter Nets. L. Clemente, S.Lasota, Reachability analysis of first-order definable pushdown systems. L. Clemente, S.Lasota, Timed pushdown automata revisited. S. Lasota, Equivariant algorithms for constraint satisfaction problems over coset templates. M. Bojańczyk, S. Lasota, Minimization of semilinear automata. S. Lasota, M. Poturalski, Undecidability of performance equivalence of Petri nets. S. Lasota, D. Nowak, and Y. Zhang. On completeness of logical relations for monadic types. Froeschle, S., Lasota, S. Decomposition and Complexity of Hereditary History Preserving Bisimulation on BPP. The full version. Technical Report 280, Institute of Informatics, Warsaw University, 2005. Jean Goubault-Larrecq, S. Lasota, David Nowak Logical Relations for Monadic Types. The full version. Research Report LSV-04-13, Lab. Specification and Verification, ENS Cachan, France, June 2004. Jean Goubault-Larrecq, S. Lasota, David Nowak, Yu Zhang Complete lax logical relations for cryptographic lambda-calculi. Research Report LSV-04-4, Lab. Specification and Verification, ENS Cachan, France, February 2004. S. Lasota. A polynomial-time algorithm for deciding true concurrency equivalences of Basic Parallel Processes. Research Report LSV-02-13, Lab. Specification and Verification, ENS Cachan, France, September 2002. Koronacki, J., Lasota, S., Niemiro, W. Position Emission Tomography by Markov Chain Monte Carlo with Auxiliary Variables: A Basic Algorithm. Technical Report 884 IPI PAN, 1999. Dietzfelbinger, M., Gambin, A., Lasota, S. On Different Models for Packet Flow in Multistage Interconnection Networks. Technical report 97-11(248), Institute of Informatics, Warsaw University, 1997. Lasota, S. Open Maps as a Bridge between Algebraic Observational Equivalence and Bisimilarity. The full version. Technical report 97-12(249), Institute of Informatics, Warsaw University, 1997. Copyright (c) 2014 SL. All rights reserved. | Design by FreeCSSTemplates.org.